February 2003, Kuwait, Decontamination drill. This vehicle would be my home for 3 months. a command vehicle, whatever we needed it to be. 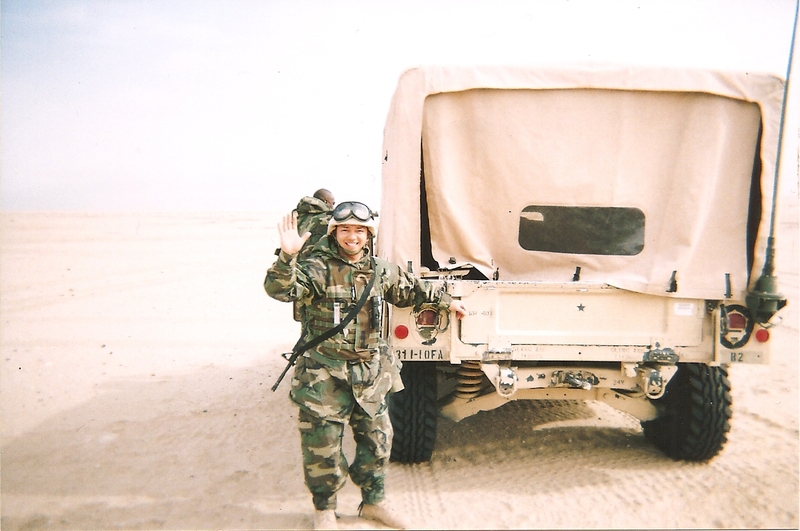 I served as a U.S. Army medic invading Iraq in 2003 with the 1st Battalion, 10th Field Artillery, 3rd Infantry Division. Like in the movies, I wrote my final letter to my wife letting her know how much I loved her. I was sure I would be killed in action, but I couldn’t freak anyone out by handing my letter to them for safe-keeping. So unlike what you see in the movies, I actually mailed my letter right before the invasion began. My war experience was surreal, and today I often forget that I was even there. Once in a while, I get a powerful reminder of how lucky I was, or how un-deservingly blessed I am. In May 2011, my church, Bay Area Fellowship (now Church Unlimited), had a Humvee on stage for the Memorial Day weekend. The configuration of the Humvee was the high-back, cargo-type similar to what I rode and drove into Iraq. I found myself getting choked up as I told my family that I rode in something like that. They had a glimpse into a life they have never really known, my life in the Army. 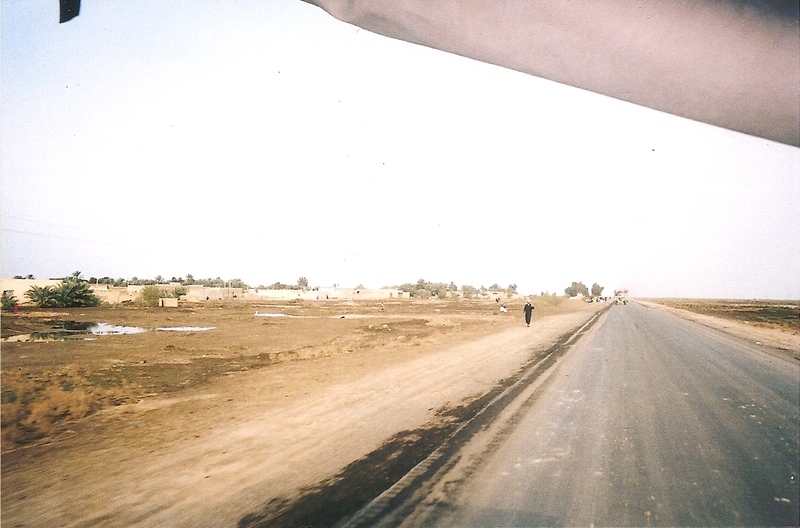 I made it to Baghdad in one piece and survived two fire fights where I almost moved into gunfire both times. We expected to have our worst casualties in the capital city. I’d definitely buy it then, I was dancing with death. We didn’t take any casualties as a matter of fact. Day 3 of Operation Iraqi Freedom outside of As Samawah. My view from the back of the Humvee. We occupied a barracks said to be the training grounds for the Republican Guard and it was next to a missile research & manufacturing facility. We experienced a drive-by shooting almost every night. The missile complex was always overrun with looters and I was part of a small, 3-man patrol without a radio that ran the same looters out every day. In a short amount of time, I was becoming a monster living in a hell of my own making. A Christ follower eventually challenged me on what I was doing, and I found myself praying to God for the very first time since I was a little kid. I went into my room which doubled as the platoon aid station and prayed, “God, if you’re listening to me, you better replace me with a man my wife deserves as a husband and the father my children need to grow up into good people.” I had made that same prayer the day the invasion kicked off, too. Well, I obviously made it home. I recently had a conversation about how we surrender our lives, die to our own desires and self, to become who God planned for us to become, then it hit me. God DID replace the man who made that prayer. He made me into my own replacement! 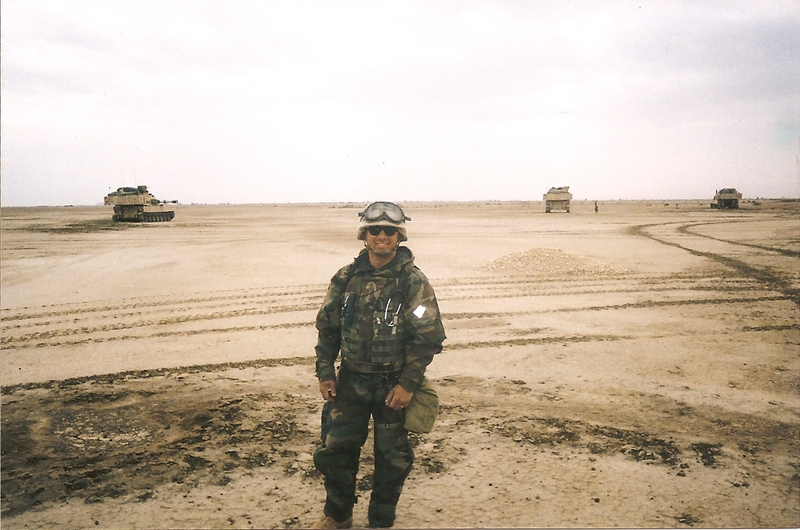 Day 7 of Operation Iraqi Freedom after a nasty 3-day sandstorm that turned everything red by day and pitch black by night. When I made that prayer in Baghdad, I was expecting to die a violent death before it was time to come home. It was only a matter of time that my 3-man patrol would be overrun by a hundred angry looters looking for revenge, but that time never came. The reality is that in a spiritual sense I did die out there, and God replaced me on the inside with a man who returned to his family in July 2003 changed to be the husband and father my family needed. 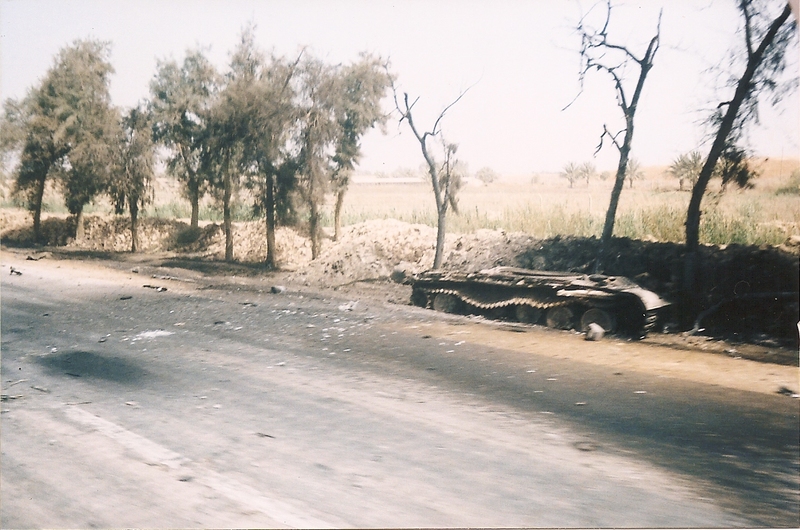 Seeing the effects of our artillery strikes as we enter Baghdad in early-April 2003. What is Your Life’s Cadence? They Bet on Me to Die? !